Majestic peaks over 3000m, the eternal ice of the glaciers, breathtaking panoramic views and pine trees covered in a thick layer of snow – winter is a magical time of year in the Ötztal Valley, and Obergurgl-Hochgurgl has plenty of things to see and do away from the slopes. Three kilometres of winding action will await you at the natural toboggan run in Hochgurgl. Once a week you get the chance to enjoy riding the bobsleigh after darkness with lights all around you – just 300 metres away from our hotel. The cross-country ski run leads through Obergurgl and passes our hotel right in front of the entrance. 12 kilometers of loipe can be used in classic or skate style. You start your ski touring adventure in the surrounding alps. 21 mountains with 3.000 or more metres in altitude are the gateway for an unforgettable trip through untouched slopes and powdered peaks. The alpine world in Obergurgl offers an almost infinite area for snowshoeing. Let the professional guide take you to the most beautiful places or explore the natural surroundings on your own routes. 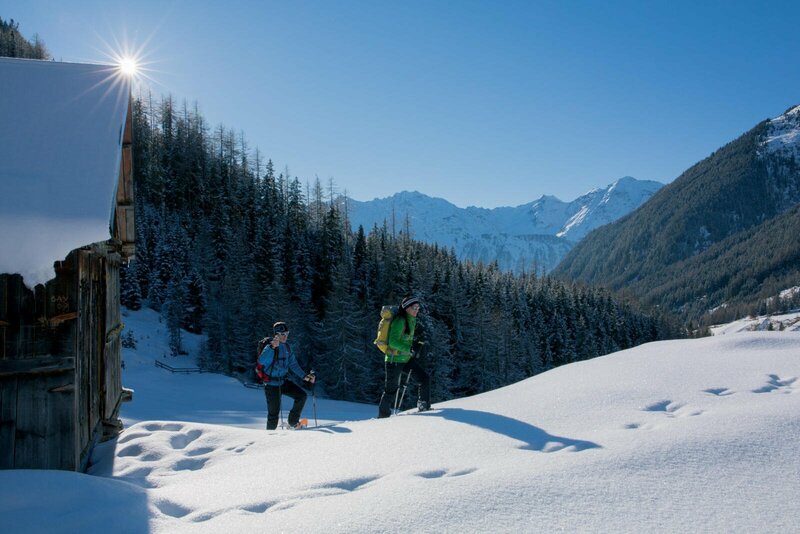 A path through the snowy pine forrest, the lane alongside the Ötztaler Ache river or a romantic journey through the village outskirts: 12 kilometers of well-prepared and signposted tracks take you to everywhere in Lech. In Obergurgl-Hochgurgl there is a lot to explore. 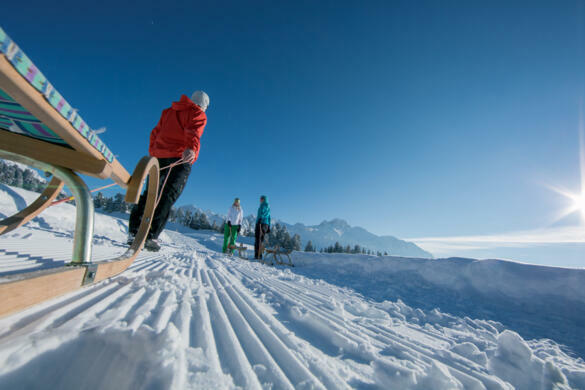 Besides the mentioned activities you will get the chance to go riding, shopping, ice-skating or have a go at bavarian curling. Scheiber Sport and skiverleih.riml.com and the Obergurgl Ski School are the ideal partners for a winter holiday to remember. Pick up the latest equipment before letting a professional instructor show you everything there is to discover in the Ötztal Valley. Have a go at cross-country skiing in Obergurgl or travel to Hochgurgl to race against friends and family on the highest toboggan run in the whole of the Ötztal Valley. Tip! A snowshoe hike up to the large pine forest above Obergurgl is a great activity for all the family. Keep your eyes open to spot the tracks left by the animals living in the forest. If you are lucky then you might even catch a glimpse of the animals themselves as they search for food. Fancy a winter holiday in Obergurgl?